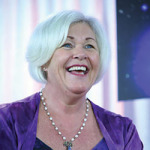 CHRISTINE DAY is a leading spiritual teacher, healer, and channel who has been working throughout the USA and internationally for the last 15 years. Following a traumatic childhood in her native Australia, Christine was diagnosed with advanced Systemic Lupus at the age of 31 and given a short time to live. Shortly afterward, she experienced a profound spiritual awakening with the Pleiadians; the energy of which moved her to a place of complete self-healing. Since then Christine has been working with the Pleiadian initiations of people throughout the United States and internationally. Christine is the founder of Frequencies of Brilliance, a healing modality that was channeled through her twenty years ago, along with the original Amanae multi-dimensional bodywork. Her first book, Pleiadian Initiations of Light, which is based on Frequencies of Brilliance, now offers this work to a broad general audience. Christine has been on our show twice in 2014. Please enjoy these previous broadcasts!